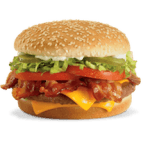 Burger King has been around since 1953, and with the exception of McDonald’s, it’s probably the most well-known fast food restaurant in the world. 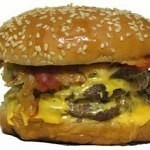 Did you know, though, that the restaurant that brings you burgers “Your way, right away,” is hiding a pretty big secret? When you walk into Burger King and look at the menu on the wall above the counter, do you think that’s the whole menu? It’s not! 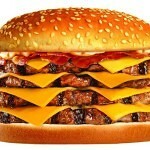 The Burger King secret menu includes a number of really intriguing modifications, additions, and brand new inventions that you’ll never find on a Burger King menu but that you can order at any Burger King in the world. For example, for just $1.99, you can get the Burger King ham and cheese sandwich. 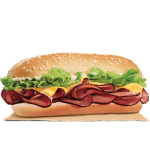 It looks a lot like an Arby’s roast beef sandwich, but it costs a lot less! 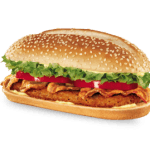 Then there’s the Burger King Club, which only costs $3.99 for a warm, juicy chicken sandwich embellished with bacon, tomato, lettuce, and cheese. If you’re really hungry and nothing but a giant burger will do, you’ll love the Suicide Burger, which is also known as the Quad Stacker. This four-patty burger is layered with tons of cheese and bacon, too, for a really killer meal when you’re starving for a burger. And, like the Burger King Club, it only costs $3.99. Other items on the hidden menu include the Burger King BLT, the Mustard Whopper (a classic Whopper, but with a zing of mustard flavor instead of mayo), the Rodeo Burger (a cheeseburger with onion rings stacked in), and the Veggie Whopper (it’s a Whopper with a veggie burger patty instead of beef!). Then there are the Frings. 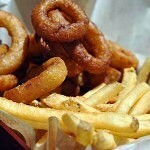 Frings are a collection of fries and onion rings. If you can’t choose between the two, just order a mix of both with an order of Frings! If you’re wondering how to order from the Burger King secret menu, it’s simple. You just have to know which item you want and ask for it. 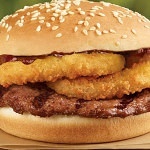 And don’t be afraid to ask for some secret sauce to go with your Burger King secret menu items, either. Below you’ll find a full list of secret menu items and prices. What do you think of secret menus? 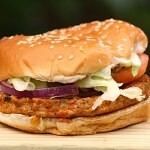 Are you going to ask for one of these intriguing hidden menu items the next time you stop in at your local Burger King?